of a photograph I made back in 1986. 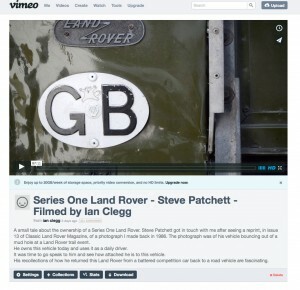 The photograph was of his vehicle bouncing out of a mud hole at a Land Rover trail event. This video clip is an interview with Steve as he eruditely talks about the history of this amazing vehicle. Click the pic to see.